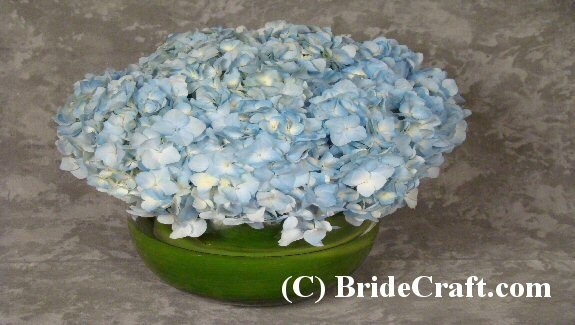 Create Your Own Hydrangea Centerpiece...Easy! 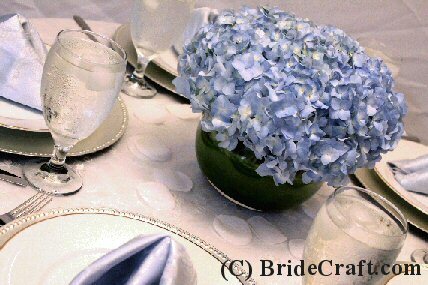 Do you want to create your own Hydrangea Centerpiece for your wedding reception? Need something super simple and even more affordable? Then this project is for you! Below you will find step by step instructions on how to create this simple centerpiece. Pros: Quick and easy. Fresh flower arranging just does not get any more basic than this. Cons: Like any fresh flower project, this must be done close to the wedding, most likely the day before. Hydrangeas are not good flowers for the head of the day, and should either be used outdoors only in cool weather or in the evening. 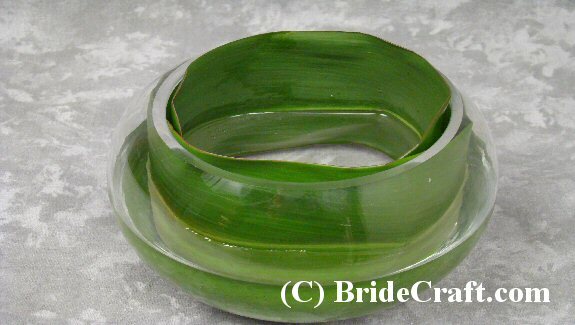 Bubble bowls (may also be known as fish bowl vases) are notorious for snapping easily when filled with water. You can avoid this by always lifting the vase from the bottom, and NEVER grab the vase from the lip. Also, keep transportation in mind. 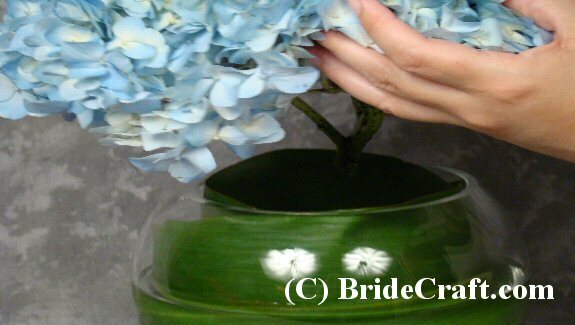 Step 1: You will need two long tropical leaves (Ti leaves were used for this project), an extra large hydrangea stem, a sharp cutting knife and an 8” bubble bowl. 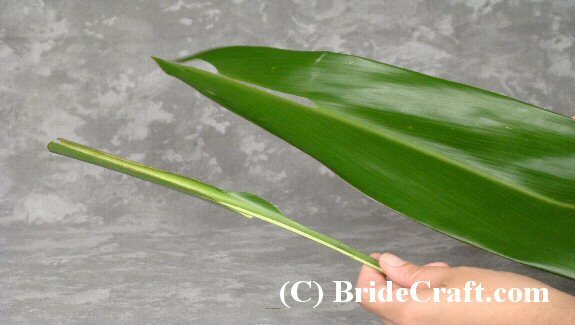 Step 2: Lay your tropical leaf face down – the spine of the leaf should be facing you. Take your knife and slice the spine away from the rest of the leaf. Note: Only separate the spine! 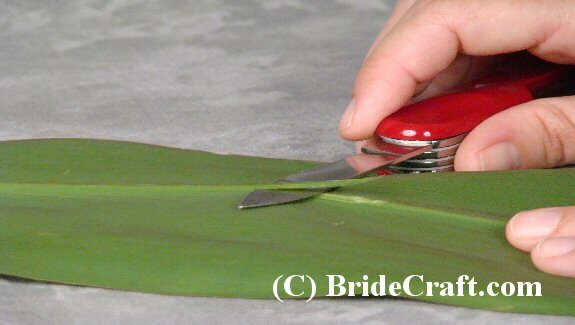 Do not remove any more of the leaf than needed to make the leaf easy to curl. Step 3: You should have something like this. Repeat with the second leaf. 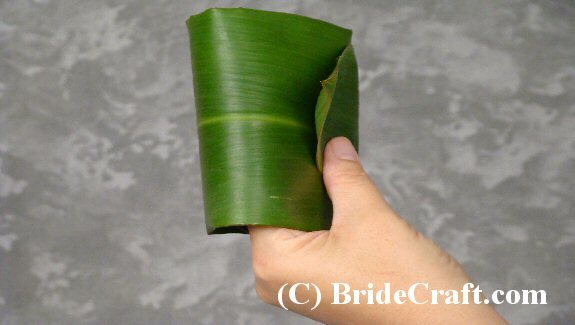 Step 4: Take the first leaf and loop it around until you have a cylindrical shape, as shown. 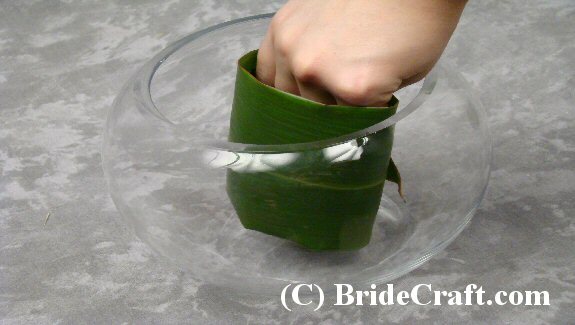 Step 5: While still holding the leaf secure, place it inside the bubble bowl, and then release it. The leaf should spring back open and cover most of the inside of the bubble bowl. Repeat with the second leaf until the bowl is covered. Step 6: Fill the bowl half way with water. You should have something like this. 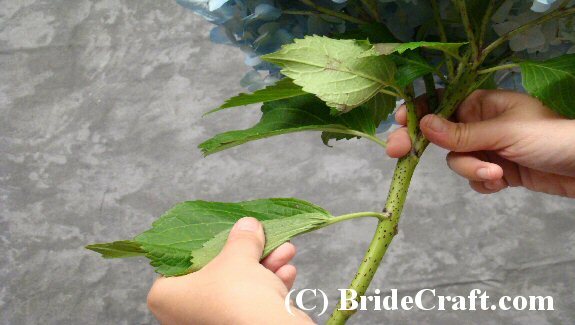 Step 7: Next, take your hydrangea stem and proceed to strip the leaves from the flower. 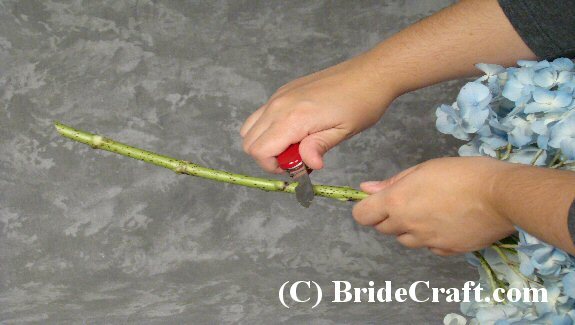 Step 8: Take your cleaned stem of hydrangea and measure it against your vase to see where you should cut the stem for the best fit into the vase. Step 9: Using the sharp knife, cut the stem to the desired length. 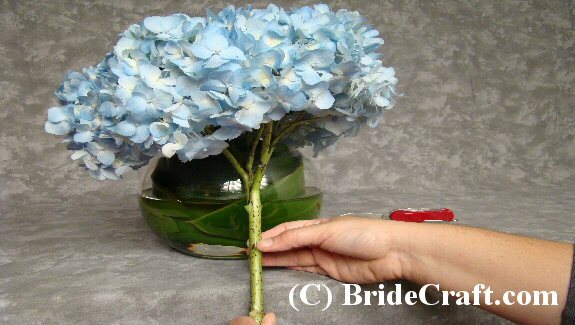 Step 10: Place the hydrangea stem into the water and fluff the flower at the vase mouth until you are happy with it. Step 11: You’re hydrangea centerpiece is complete! Store in a cool place away from intense sunlight and heat, and enjoy! 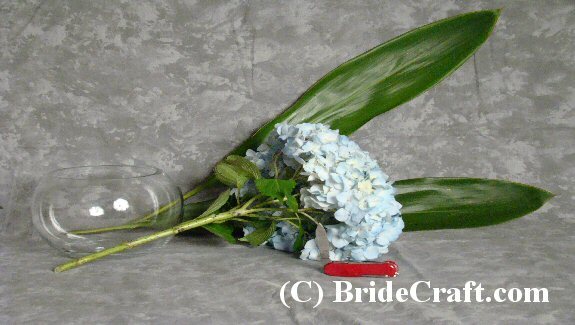 Return Hydrangea Centerpiece to Centerpiece Page.